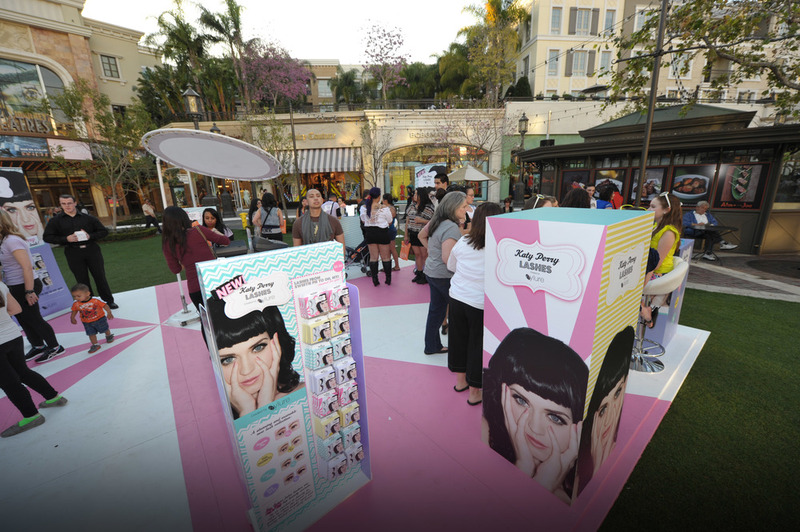 ULTA Beauty partnered with Eylure to promote its new line of Katy Perry branded lashes. As Director of Public Relations for ULTA, Carrie led the team to develop an event strategy with Eylure that would combine a shopping experience with a personal appearance by Katy. A preliminary event was created one week prior to Katy's main appearance to drive product sales and pre-qualify guests for a chance to meet Katy in person. 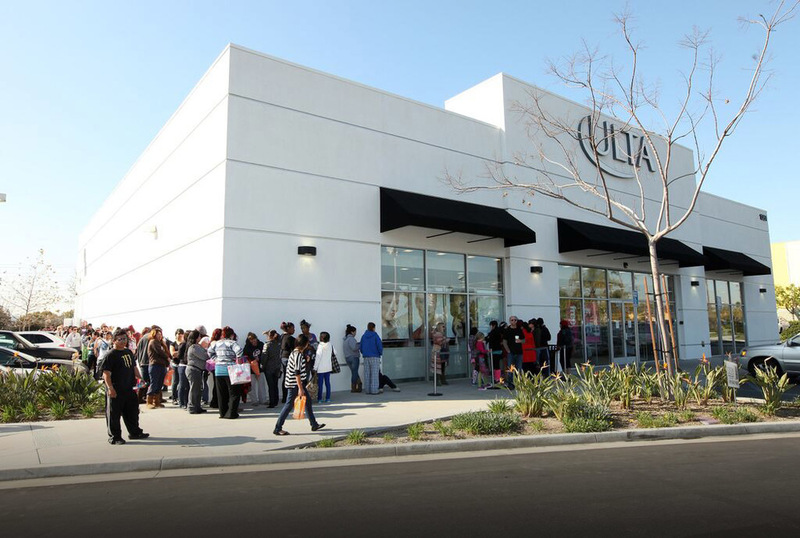 The qualifying event was promoted at ULTA’s regional stores and via social media, resulting in hundreds of fans lining up. Many avid Katy fans slept overnight outside the store to secure a place in line. Customers were encouraged to dress up at the pre-qualifying event to add to the air of anticipation and create a celebratory environment in the store. Logistics at the main event included a pop-up shop where consumers could purchase merchandise and learn how to apply their new lashes. Women and young Katy fans alike all enjoyed having pros on hand to show them the art of eyelash application. Katy arrived in style in a vintage car that matched her creative expression that day– shades of blue. While the pop-up shop kept guests entertained, Katy signed boxes of eyelashes for the pre-qualified guests. Hundreds of fans stayed on site throughout the 5 hour event, despite the fact that Katy did not perform. The team worked to keep the atmosphere engaging to capture their attention. Bold signage and displays throughout the event ensured that subsequent publicity included ULTA Beauty and Eylure branding. Despite a 12 hour day, the team remained motivated throughout the event setup, activation and teardown. In the end, the event was deemed a success by all partners. “Runway in the Sky” kicked off a partnership between Southwest Airlines and The Magnificent Mile Association, a group that represents the premier business district along North Michigan Avenue in Chicago. Carrie was retained through Lannon Consulting to celebrate the occasion by producing the first U.S. fashion show to take place on an airplane while in flight. The production started in Chicago, where runway fashions were selected from Macy’s. Then six models were flown to New York to be ready for the show the next morning on a Southwest Airlines flight back to Chicago. An overnight stay near New York's LaGuardia airport allowed for final coordination. To keep the pop-up fashion show a secret from passengers, models wore street clothes over their fashions as they took their seats on the plane. When the models jumped up to walk the runway, the audience was completely surprised. Because seats on the sold out flight were at a premium, Carrie acted as both producer and fashion show commentator. To tie back to the Southwest Airlines/ Magnificent Mile partnership, right before landing in Chicago she announced that every passenger would receive a $100 gift certificate to shop on the Magnificent Mile. The excitement created in the air continued to gain traction on the ground. A step-and-repeat, photographers and the fashion show models were in place as airlines passengers departed the plane. The area became a hub of activity as both passengers and passersby stopped to get in on the action. All photographs included the event participants' logos, providing exposure through publicity, social media engagement and sharing. Southwest Airlines and The Magnificent Mile Association deemed “Runway in the Sky” a great success – one that overcame logistical challenges to become a history-making event for both organizations. When Lucky magazine tapped ULTA Beauty as a partner to reach for a Guinness World Record on ABC’s Good Morning America for “Most Cosmetic Makeovers in 24 Hours,” Carrie led the event team at ULTA to pull together a seemingly impossible feat in 9 short days. The segment was to be included in a highly promoted “world record” themed week produced by the show. The whirlwind organizational process included assembling and shipping thousands of ULTA cosmetics to ABC-TV in New York, recruiting 5 ULTA make-up artists willing to stay awake for 24 hours and coordinating team adherence to Guinness World Records standards. ULTA took over a large part of the Good Morning America studios to set up 5 make-up stations. Cameras cut in and out of the make-overs throughout the 24 hours to show progress to the television audience –a viewership of millions. Hundreds of women lined up for the makeovers. Names and placement in line were meticulously organized to ensure accuracy. Guinness World Records dictated that 9 products be used on each make-over. Guinness supervisors scrupulously reviewed the makeovers throughout the 24 hours to ensure that no short cuts were taken. Music, shoe inserts for aching feet, neck massages, ongoing snacks and cheerleading from the ULTA events team kept the 5-person makeup team up and working right through the 24 hours. In addition to coordinating thousands of products for the actual makeovers, parting gifts and an in-store coupon were organized to thank the women who participated and to encourage their visit to a local ULTA store. In the end, the goal was achieved with Guinness World Records awarding Lucky magazine and ULTA Beauty with the world record for “Most Cosmetic Makeovers in 24 Hours.” The ULTA team was able to make over 378 women. Not only did the event garner substantial publicity and social media coverage, but it garnered good will among the makeover recipients. All were thrilled with their new looks.